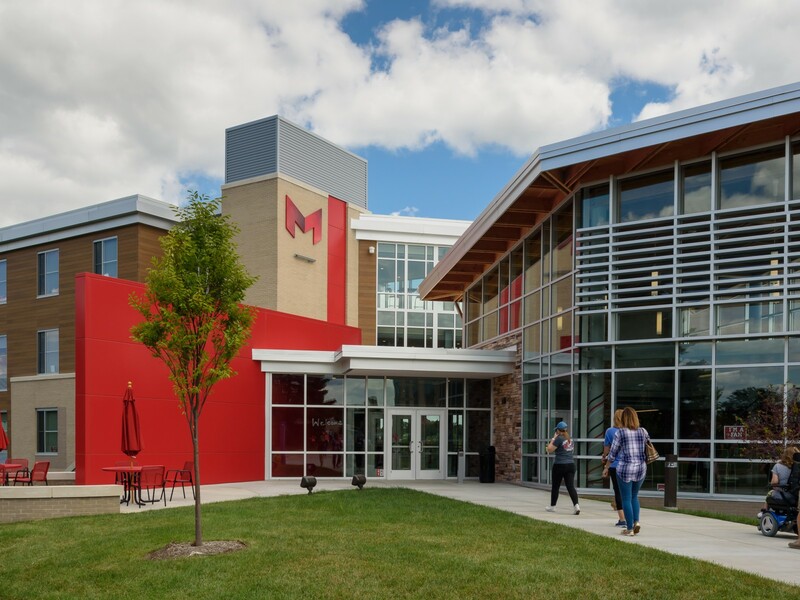 Maryville’s new suite-style residence hall features a modern floor plan with fitness center, open lobby, and lounge spaces. 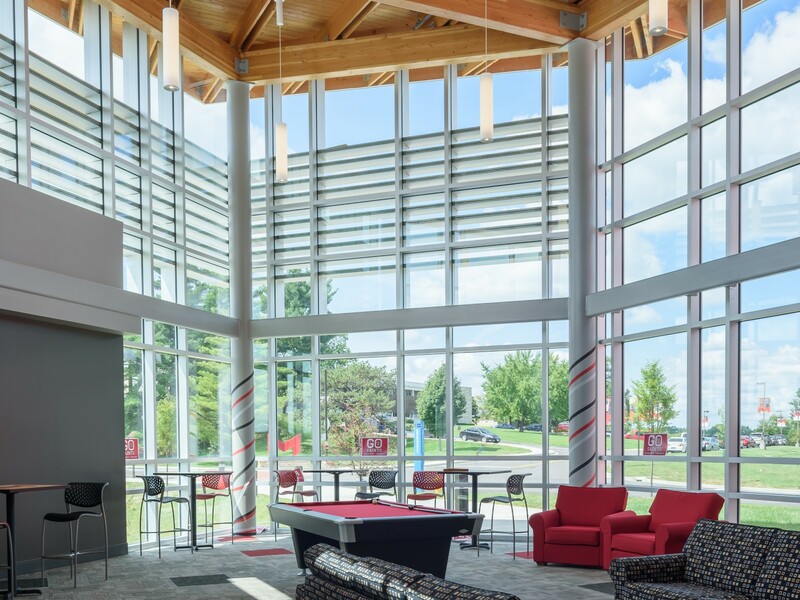 Designed with academics in mind, Apple TVs and study areas are located throughout, and a high-tech classroom is included on the first floor. 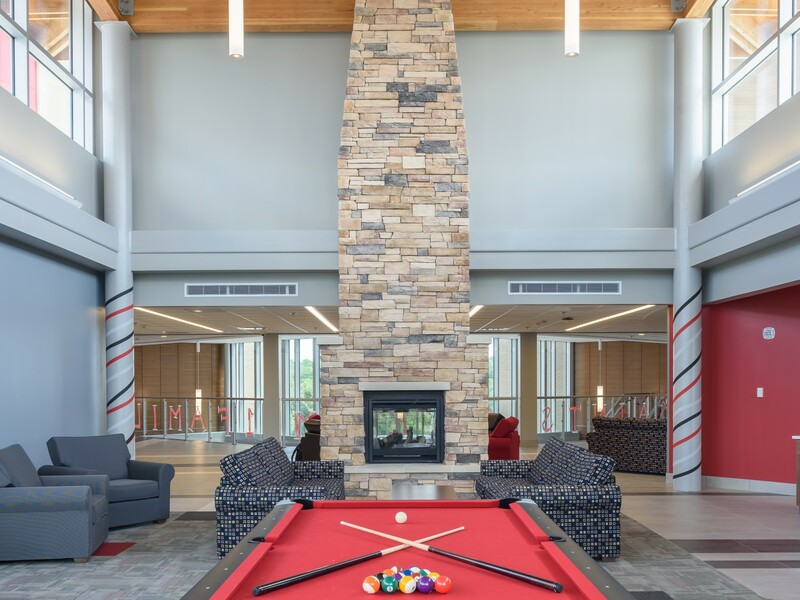 The building’s lodge-like style attracts students with its stone fireplace and exposed wood ceiling beams. Each unit features modern, loftable furniture paired with carpet and hardwood floors. 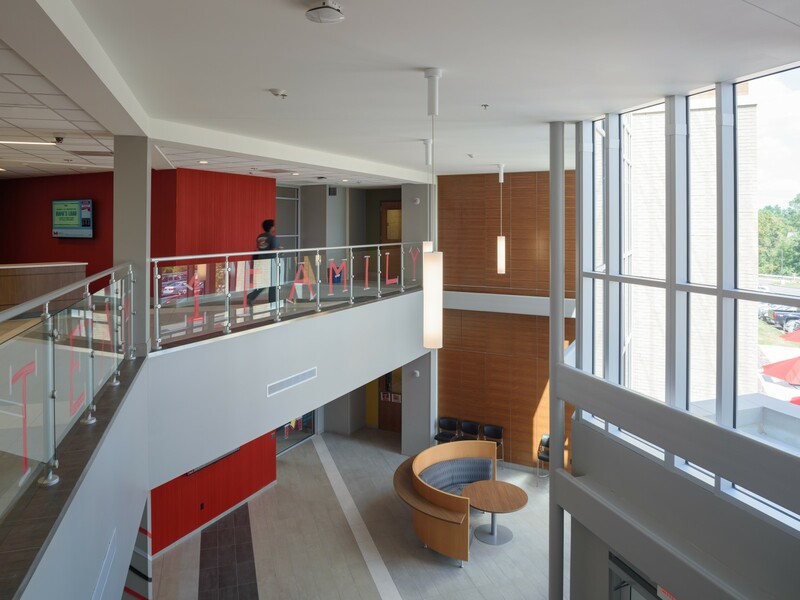 The four-story building has dedicated floors for upperclassmen and incoming students. 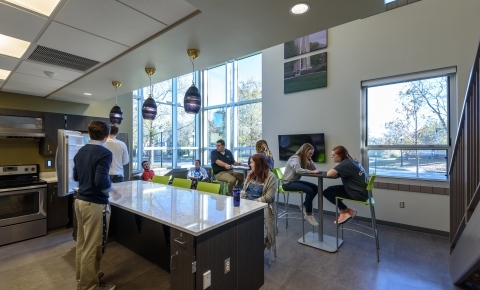 Support spaces include social and community areas, study lounges, an RD apartment, a main lounge, and a multi-purpose room. 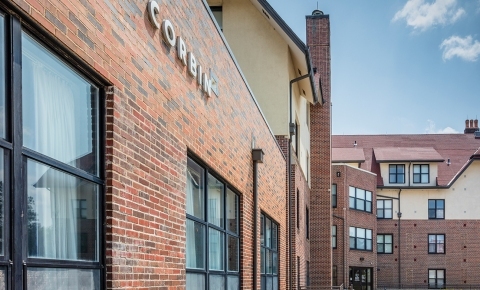 In addition, the complex includes a fitness center along with laundry facilities along with exterior amenities such as volleyball court and social gathering spaces. 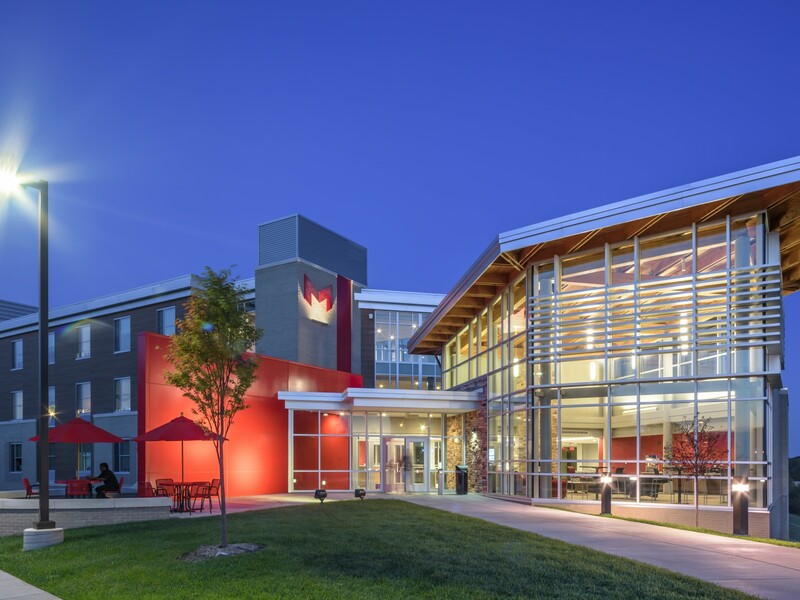 Saints Hall was designed to accommodate an additional wing as enrollment growth and demand for student housing continue to expand. Phase 1 opened in Fall 2016; phase 2 is under construction.